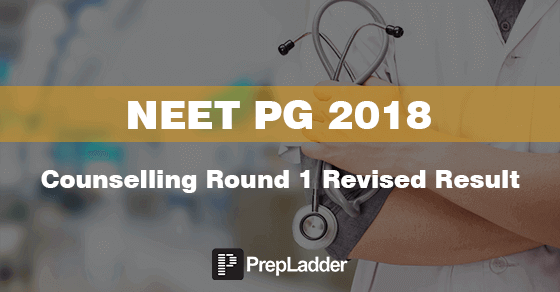 The revised result of 1st Round of Counseling of NEET PG All India Counseling and Seat Allotment process has been announced. Earlier the result was released on 28 March’18 but was soon withdrawn after declaration due to some inadvertent/ technical mistake and was declared null and void. 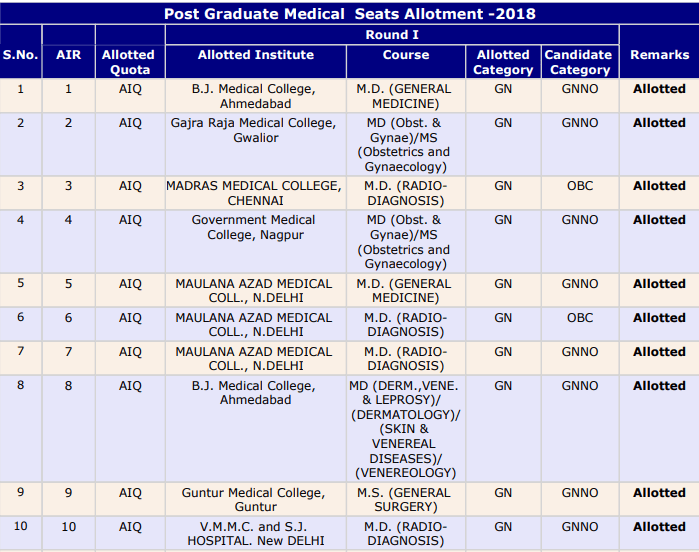 After releasing the provisional revised result yesterday, MCC has now released the final result for PG Medical First Round of Counseling. The below table shows a snapshot of the final result of the students who participated NEET-PG 2018 Counseling Round-I. Note: The dates for reporting to the allotted college has also been extended to 5 April 2018.